Ding, ding, ding: 20 posts in 20 weeks! When I published my 20th post last week, WordPress gave me a gold star. Each time I post, WordPress (which kindly hosts my blog for free) gives me encouragement, cheering me on to new blogging milestones. So I’ve managed to keep my little blog afloat for 20 weeks now, even during a vacation, recovery from a hernia operation, transitioning to a new “indie” life and living through the D.C. area’s worst winter in decades (just kidding about that one). Maybe I do deserve a star! 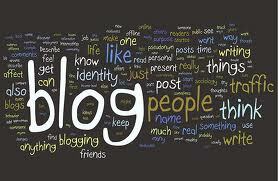 Blogging combines many disciplines into one platform. When I started The Wayward Journey, I had only a vague notion that I wanted to write for myself and that blogging looked to me the best way to do that. I’ve been blessed each week with a muse that grants me new ideas and topics. I find there are usually more things I want to write about than I have time for. I’ve also been blessed with some loyal readers who have given me much-appreciated feedback. From reading other blogs and listening to experts, I’ve learned that I’ve done a lot of things right. And, sure, there are a few things I could do differently if I wanted more readers. For example, I’ve resisted turning my posts into lists. Yeah, everyone loves lists, and I know it’s de rigueur to write about the “20 things I love about my dog” or “10 reasons not to buy an iPhone.” But I’ve always enjoyed a good essay—writing that takes the time to develop an argument, demonstrates irony, has humor and ends with a compelling call to action. So that’s been my model. 1) A good blog starts with good writing. Effective writing is still the fundamental building block of good communication. It was that way when I started my career as a newspaper reporter, and it’s even more the case in today’s fragmented, fast-paced world. Good blogging to me is an antidote to all of the bad writing I see out there. So if you have something to say and you can say it well, blogging may be the space for you. It’s a great way to showcase your writing skills—and get noticed by others who appreciate good writing. 2) Blogging makes you think and reflect…and think some more. I love the creative process, and I look forward each week to the “birthing” of my next post. Sometimes I end up going somewhere I didn’t know I was headed, but that is the beauty of blogging. I find often that once I’ve finished writing, that is when I finally “see.” Amazing. 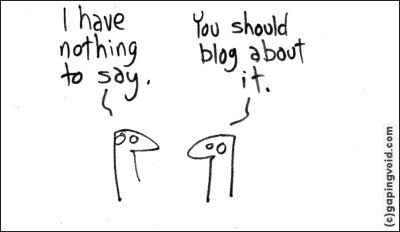 Hugh MacLeod's humorous take on blogging. 3) Blogging isn’t dead…it’s just maturing. With the ascendancy of Facebook, Twitter, and recently Google+, a lot of social media pundits have declared blogging dead. I like this tongue-in-cheek assessment from Hugh MacLeod: “Nowadays, the only people who are left blogging are the people who REALLY want to, who ACTUALLY have something to say. Everyone else is uploading cat photos on Facebook. I think this is a good thing.” I wouldn’t say that blogging is a dead medium; but like everything, it’s evolving. Regardless of the platform, the free expression of ideas is a constant “given” in the Internet Age. Blogging is just one way to do it. 4) Blogging takes time and discipline. When I first started blogging, I foolishly thought I could churn out two or three posts a week with ease. I also thought I would have several blogs. The Wayward Journey would be my first, “test” blog, soon to be followed by several professional and special interest blogs. Boy was I overly optimistic! Budding bloggers: you need to consider the time it takes to do this, and to do it right. 5) Blog for yourself. Ultimately, you have to believe enough in your own writing to get past the fact that blogging is a lonely endeavor. 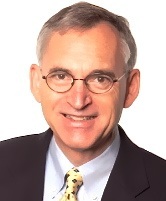 David Kanigan, blogging at Lead.Learn.Live., puts it this way: “Why Blog? I think Seth Godin captured my inspiration for blogging when he was asked why he blogged. He said ‘if you are blogging for other people you are going to be disappointed…even if no one would read it, I would still blog…this is a great chance for me to clear my thoughts and put them into the world, what an opportunity.’” Hard for me to top that! This entry was posted in Getting started, Staying motivated and tagged Blogging, David Kanigan, Hugh MacLeod, writing. Bookmark the permalink. 4 Responses to Ding, ding, ding: 20 posts in 20 weeks! Great blog, as they have all been. You are an accomplished writer. Keep up the good work, my friend. Pat, thanks! As always, I appreciate the feedback. Dave, you are too kind!